Guardian Home Insulation is committed to keeping you comfortable at a cost you can afford. The older your home is the more you can be assured that creating and maintaining a temperate yet energy efficient living environment for your family was not a primary concern at the time of construction. Issues with older homes tend to include minimal insulation and insufficient venting in the attic, empty exterior walls, drafty single pane windows and inefficient HVAC units. Guardian will customize a comprehensive solution for your home which will address your family’s specific needs. As every family is different, our in home assessment involves not only taking readings and measurements but developing a thorough understanding of both how you use your home and how sensitive you are to heat and cold. We are a HERO approved contractor with a thorough understanding of the different rebates and incentive programs which usually allows us to drastically improve the comfort and efficiency of your home without any out of pocket expense or increase in monthly payment. When and if you are ready to sell your home we can refer you to a Realtor who knows how to target home buyers seeking energy efficient homes and will ensure you get top dollar for the money you’ve invested. 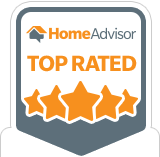 Schedule a free in home assessment today so we can show you how! Combining a Bachelor’s Degree in Environmental Science from UC Berkeley with 25 years of experience in residential home insulation. Guardian Insulation is a fully licensed, bonded and insured insulation and acoustical contractor specializing in blown insulation. 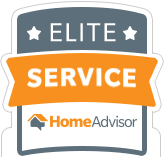 We have over 500 satisfied customers in the Orange County area, many of whom would be happy to speak to you and attest to the quality of our work. We are the only insulation contractor in Orange County who offers a full guarantees your wall texture & color match will not be visible upon completion of your job. We guarantee we will also leave your home in the same condition we found it and do not collect final payment until the jobsite has been properly cleaned to your satisfaction. They were quick to respond to our inquiry. Jesse, the salesman, was professional and easy to work with. He even came by to check on the progress of the installation and to make sure it was to our satisfaction. The installer, Mark, showed up on time and was prepared. He protected our floors, walls and furniture, and completed the job on schedule. Clean-up was thorough. Guardian insulation was prompt in responding, Jesse is a great promoter for the company, his presentation was on spot. Mark, he is on the job when he is suppose to be and is an artist in matching the paint and doing patchwork, he made the holes look like they were never there. Great job! Jessie was a lot of help. Honest and to the point. A/C ran all day before the work. Now cycles on and off during the high heat of the day. Will pay for itself. Great job! We are 4.5 star rated on Yelp!